TRP-C36, a high speed, single-port serial device, is designed to instantly convert data from RS-232/422/485 interfaces to an Ethernet network running at the TCP/IP, UDP protocol. 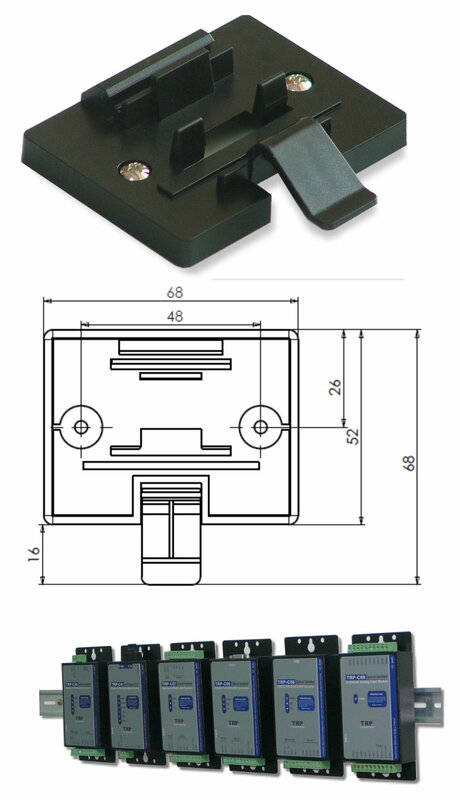 By using a standard COM port and existing network infrastructure the device allow you to link together a distant RS-232/422/485 serial device. You can reach TRP-C36 from Windows and Linux without the need to modify existing software. 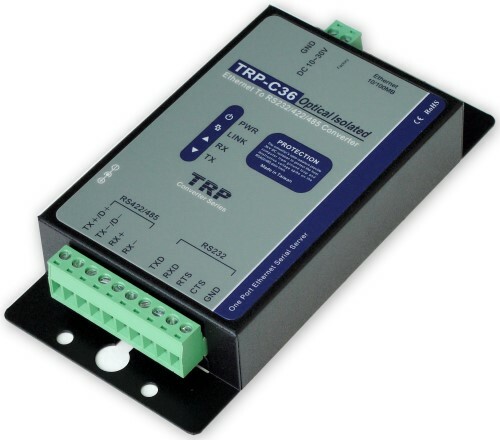 TRP-C36 supports 10/100Mbps auto-detecting, and auto RS-485 data direction flow control, it also provides with 3000V DC isolation and internal surge protection to protect the converter against high input voltage spikes and ground potential differences, and ensure a save data transmission on network. The industry standard DIN rail and panel mounting design enable user a fast and professional installation. Fully compatible with Ethernet TCP/IP protocol. Support baud rate up to 230Kbps. Power/Link/TX /RX mode LED indicator. Support intranet and internet system setting function. Virtual COM drivers for Windows 98/WIN2000/WIN XP/Vista/WIN2003/WIN 7/WIN8/WIN8.1. DIN rail and panel mount. RS-422: Differential 4 full-duplex wires ( TX+ , RX+, TX- , RX-). Connection type: Screw terminal, accepts AWG#12~30 wire.